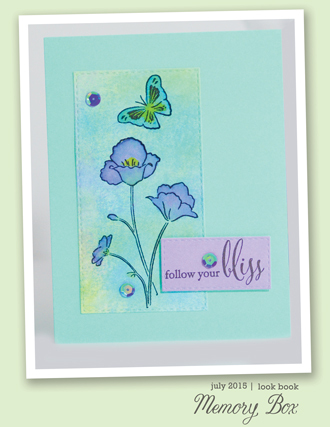 A crisp white Vine Butterfly strikes a contrast over a watercolored Wrapped Stitch Rectangle background. 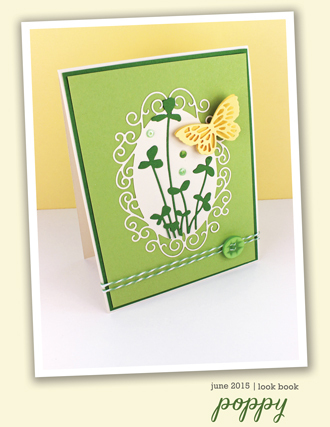 It's another quick card for another busy summer weekend. 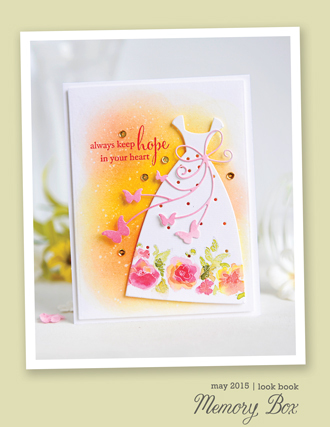 Add a trio of glittered Mini Butterflies and a greeting...that's it! 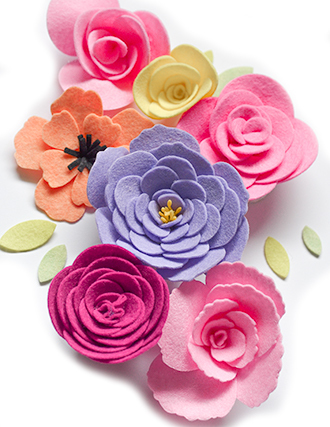 Hi, Jean Okimoto here with a simple design that's easy to customize in your favorite colors. 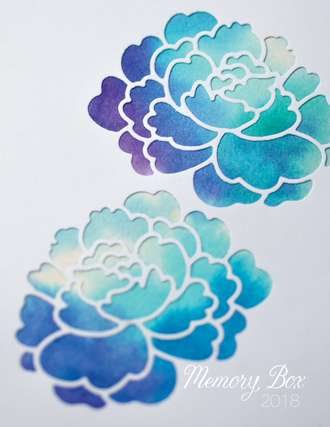 Paint a watercolored background of Kaleidacolor dye ink refills. 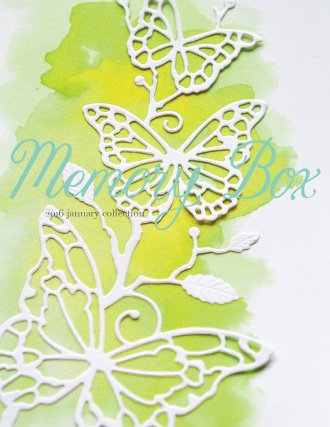 Air-dry it for a few minutes while you diecut a white Vine Butterfly and some glittered Mini Butterflies. Lightly spritz the background to create little spots and specks - then heat-set it. 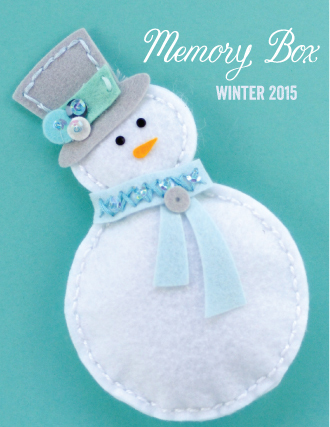 Cut it with the 2" x 3-¼" Wrapped Stitch Rectangle. 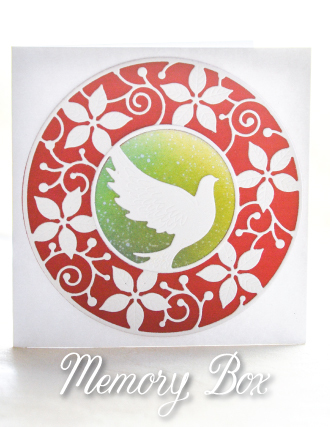 Stamp the greeting - from the Bird Sanctuary Clear Stamps Set - on a white A-2 card with Verdant VersaFine Clair. 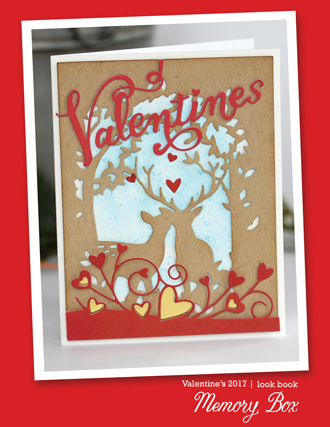 Attach the diecuts - and there's your card! 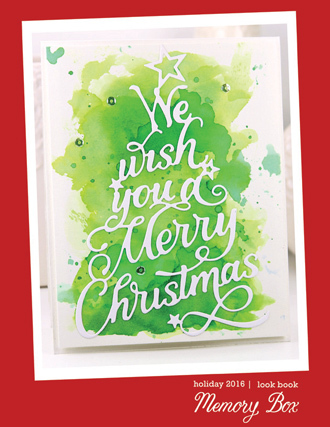 Thanks for stopping by - hope you'll have a chance to create a few cards this weekend! Please join us again on Sunday for Penny's great design. 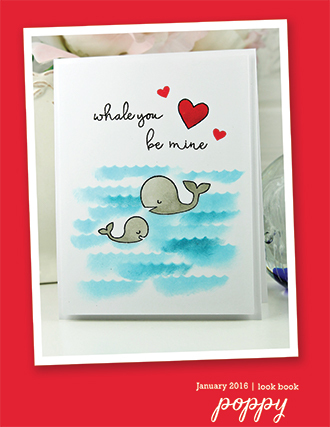 The new Long Dachshund - and his mirror-image buddy - contemplate life on a simple little card today. The washi tape background from Birch Press Design gets a quick trim with the Wrapped Stitch Rectangle die. 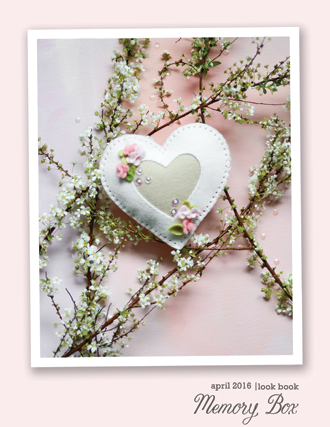 Hello, Jean Okimoto here with a greeting for someone needing a bit of encouragement and support during a tough time. 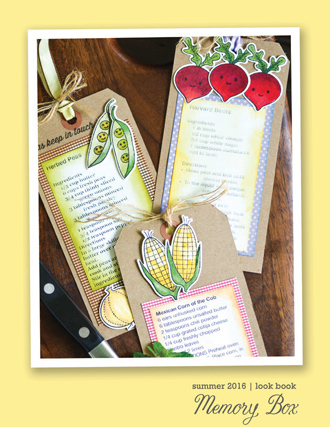 Attach adhesive label paper or a sticker sheet to tan and dark brown felt. It will stabilize the felt and keep adhesives from saturating the fabric. Cut Long Dachshund from dark brown felt. Cut him again from the reverse side of the tan felt to create a left-facing dachshund. Switch their ears. Attach lime and turquoise duct tape to lightweight cardstock and cut the collars. 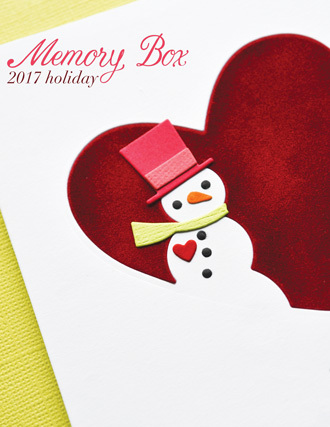 Attach strips of washi tape (about 3" long) to white cardstock and diecut the cardstock with the 2-¾" x 4" Wrapped Stitch Rectangles die. 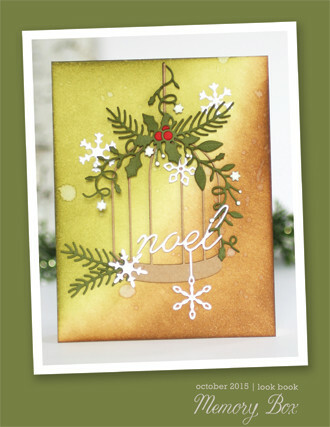 Stamp the greeting - from the new Dog Gone Clear Stamps Set - with Verdant VersaFine Clair. 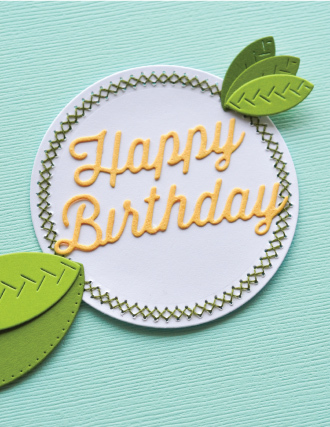 Attach the diecuts to a side-folded A-2 card of textured green cardstock. Add green gem stickers. 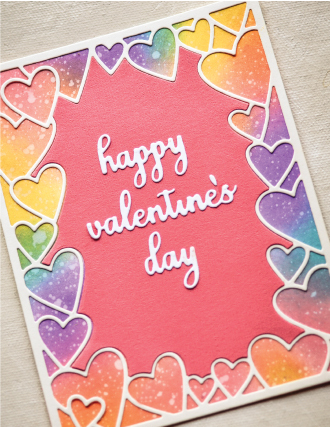 Simple strips of washi tape can add so much to a quick card. 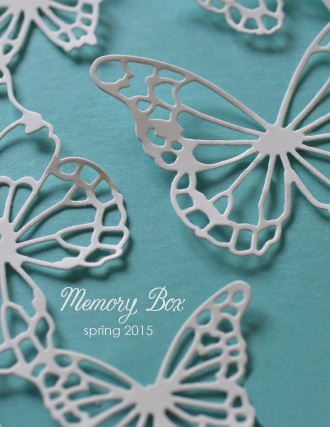 See the great patterns and beautiful colors featured on the Birch Press Design site. Big thanks to everyone who joined us for last weekend's THOUGHTS + THANKS class at Impress! 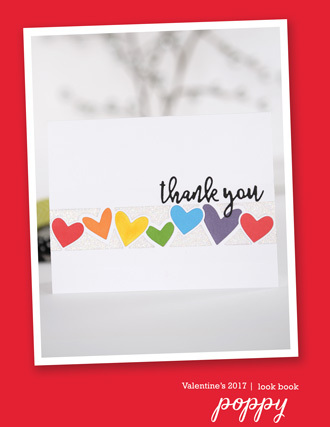 It's always nice to have a stash of thank you and thinking-of-you cards ready - hope you liked the designs that we stamped, folded and layered. Thanks too - Ann, Erin and Laura - for helping everyone fill their baskets! 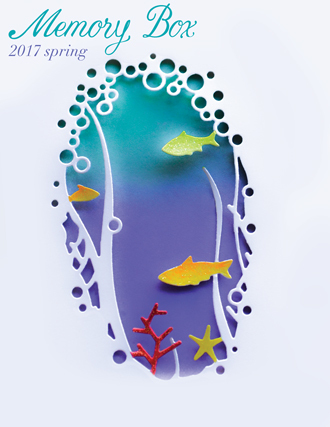 The Impress Annual Spring Sale starts today - and runs through Sunday April 22nd. 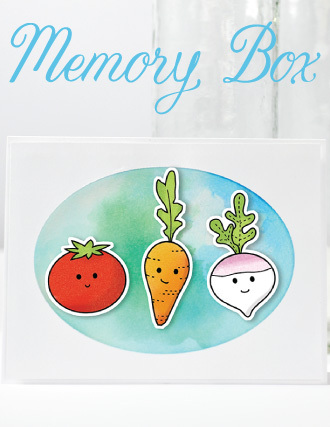 Bring your wishlist of Memory Box and Poppystamps items - and enjoy a 20% discount on the great designs you've been waiting for! 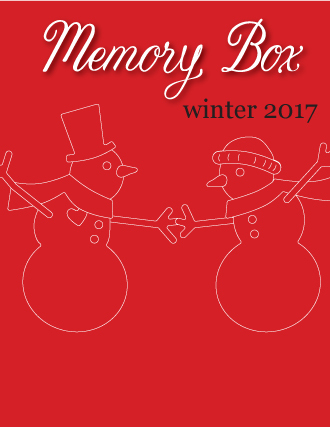 Stock up on VersaFine Clair inkpads too - they're my favorite inks for classes and here on Outside the Box. Hope you'll have a chance to take advantage of the 4-day sale - and join us for the GREEN GREETINGS class on Earth Day, April 22nd from 11:30-1:30. Green - the color and the concept - is the class theme. Lots of green - papers, inks, accents, recycled items - and great techniques. Everyone receives a bonus pack of some items from my stash to make more class cards at home later. 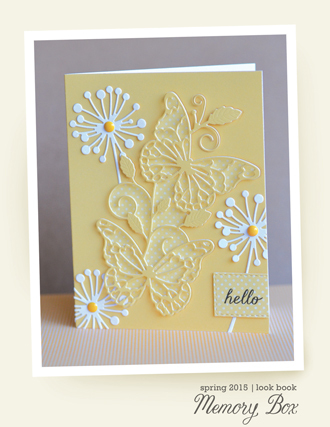 Hexagons are everywhere on today's card--inside and out! 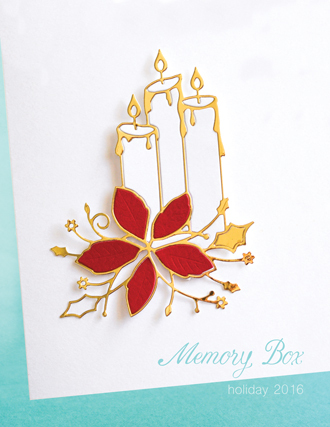 For this card, I started with a Memory Box Licorice Notecard and die cut into the front of it with HEX DRIFT 99991 and HEX COLLAGE 99990. I stamped "keep calm and bee happy" and a small bee from the BEE YOURSELF CLEAR STAMP SET CL5222 on a 3/4" X 3 1/4" strip of Memory Box Squash Dot Paper using Jet Black Archival Ink. 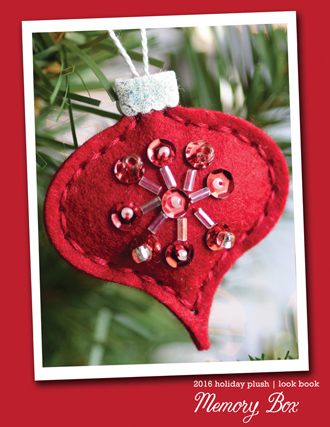 I then rounded the corners and attached it at an angle to the card front. To fill in the holes left from cutting the hexies, I cut two pieces of the squash dot paper 5 1/4" X 4", glued them together with the dot sides out, and then adhered them to the inside of the card front. One dotted side filled in the hexies and the other dotted side lines the inside of the card front. Here's the inside. I love that there is a surprise when you open the card and find the bee inside! For the righthand side of the notecard, I die cut a hexagon from the STUDIO HEXAGON LAYERS 30073 using more of the squash dot paper and glued it to the card. I die cut the INTRICATE BEE 99920 from black cardstock and adhered it to the hexagon. I stamped "bee yourself" from the Bee Yourself Clear Stamp Set on one edge of the hexagon. I still have plenty of room to write a message or I can add a white box for a longer message over the dot paper that lines the inside front. The new Right Hutton Gate and Right Gate Background create a colorful setting for the new Vine Butterfly here today. Hi there, Jean Okimoto here with a mirror-image version of my earlier Hutton Gate design. I knew I needed the Hutton Gates and Backgrounds when I saw them during the design team preview - but I didn't know what to do with them when they arrived. Now I can't stop using them - they've worked their way to the front of the stash! Hope your favorite retailer has ordered them - I know Impress has! 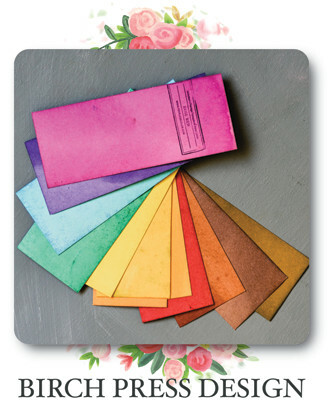 Find some pretty spritzy, watercolored paper in your stash and cut with the Right Gate Background. Cut a piece with the 2-½" Circle Basics die too. These pieces were painted with diluted layers of Imagine Crafts Kaleidacolor Dye Ink Refills and set aside to dry before cutting. 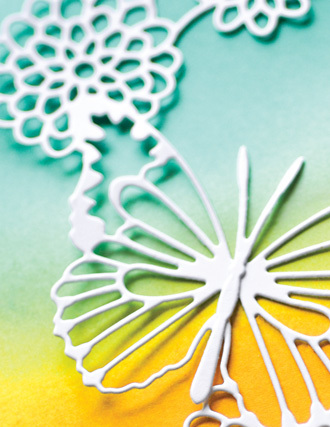 Cut Right Hutton Gate and Vine Butterfly from white cardstock. 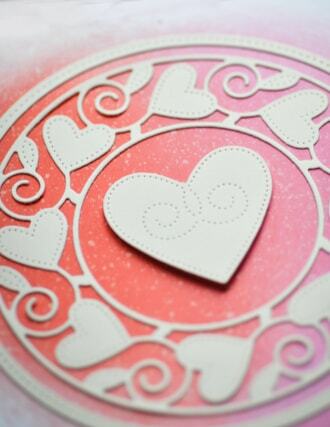 Cut the 2-¾" Wrapped Stitched Circle Frame from white cardstock - we're using just the outer frame here. 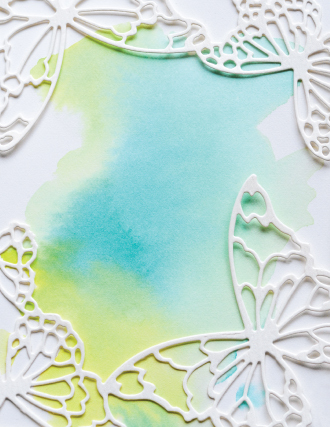 Layer the watercolored circle over the frame, then attach the Vine Butterfly. Attach the Right Hutton Gate to the Right Gate Background. Attach the right edge of the circles under the gates. 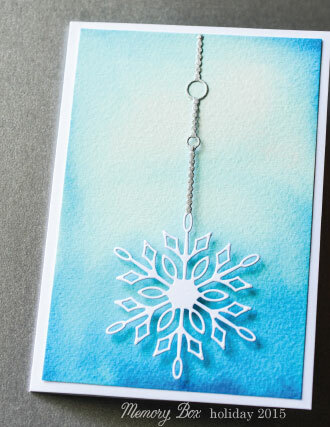 Score, cut and fold a white A-6 card (4-½" x 6-¼"). 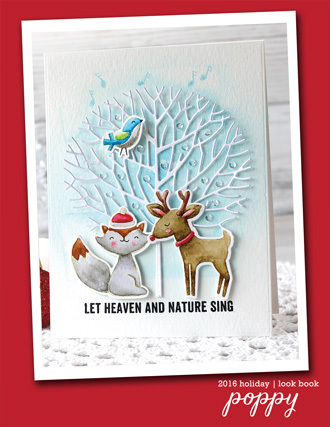 Stamp the greeting - from the Birch Press Time to Celebrate Clear Stamp Set - with Starlite Black Brilliance. Air-dry it, then stamp the tiny hexagons over it with Rose Gold Delicata. Heat-set the inks. 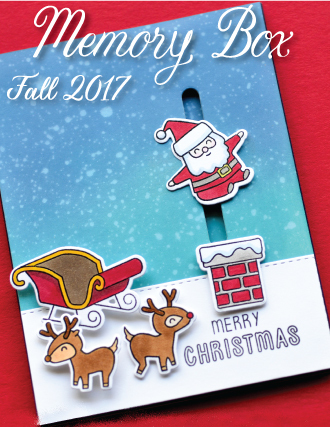 Attach the diecuts to the card. There are so many ways to use the Hutton Gates and the Gate Backgrounds throughout the year. Pair them with pretty colors for spring, then with bright summer colors. Imagine them in orange+black for Halloween - and festive reds with glitter for the holidays. 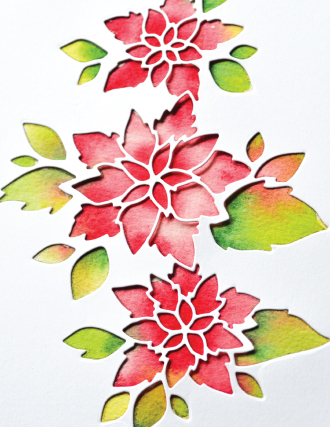 Looking forward to seeing everyone at the PAPER AND INKOLLAGE class at Impress this Saturday! 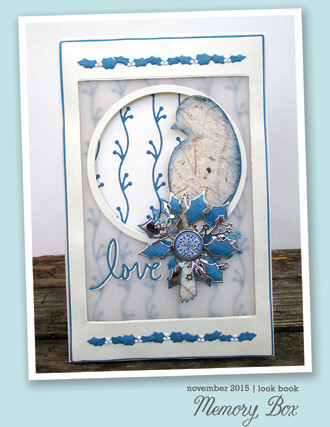 We're using artpapers - and accents from my stash - with great dies and inks on artsy, layered designs. Everyone gets a packet of "extras" from my stash too - to make a few more class cards at home. 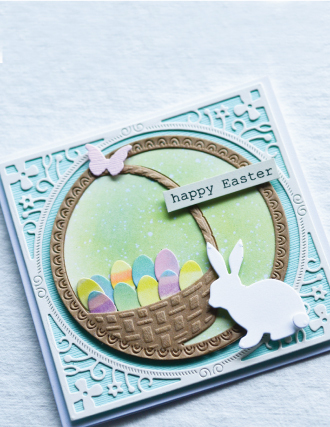 Watercolors and the new Left Gate Background create a vibrant background for the Left Hutton Gate on today's spring card. The Poppy Stitched Circle Frame, stamps from the Birch Press Time to Celebrate set and Honeycomb Square's glittered hexagons add the finishing touches. 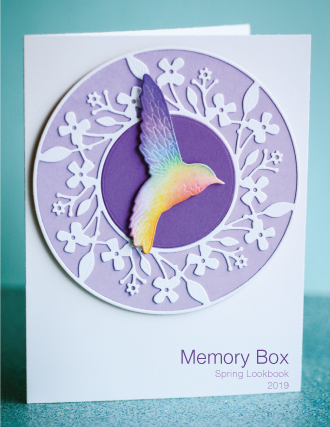 Hello, Jean Okimoto here with a colorful design for any occasion. The Left Gate Background and Hutton Gate create a semi-circle that's perfect for many of our Circle Frames. Pair them with the right-sided designs for a more formal symmetrical design. 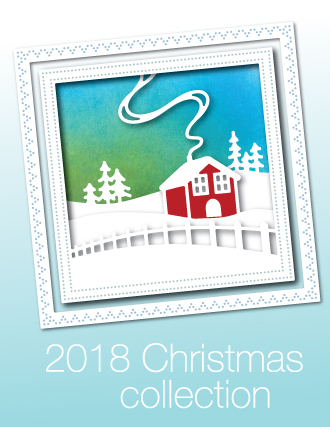 They're also great with the circular designs from the Birch Press Time to Celebrate stamp and die sets. 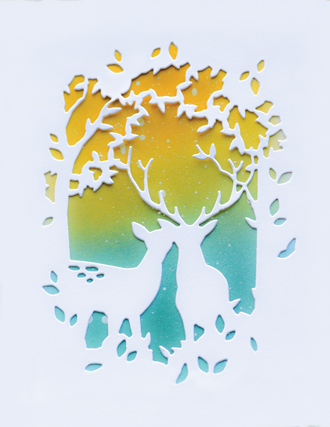 Cut a 6" square of watercolor paper - it's more than you'll need here, but you'll be able to chose the prettiest sections for the card. Lightly spritz a large acrylic block with water. 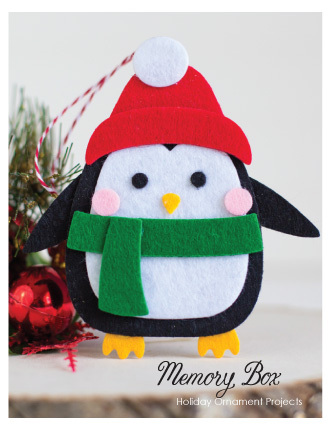 Dribble Imagine Crafts Dye Ink Refills onto separate areas of the spritzed block. Tilt the block and let the colors begin to mix. Spritz it lightly with water, then dry it with a heat-tool. 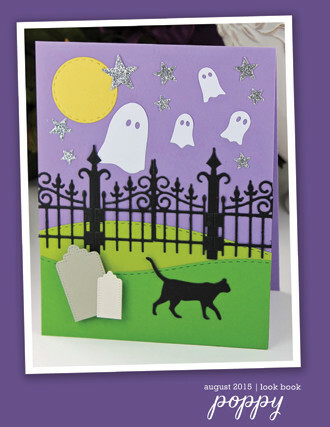 Diecut it with the Left Gate Background and the 2-½" Circle Basics die. Diecut the Poppy Stitched Circle Frame (and the bonus flower layer) from white cardstock. Diecut the Left Hutton Gate from white cardstock. 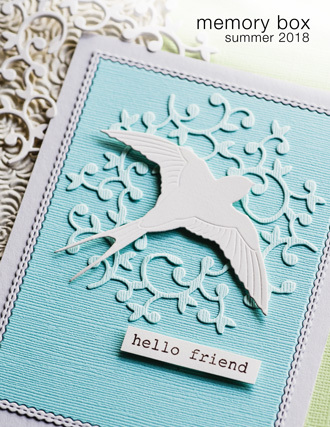 Stamp the greeting - from the Birch Press Time to Celebrate Clear Stamps - onto a white A-6 card with Pearlescent Jade Brilliance. 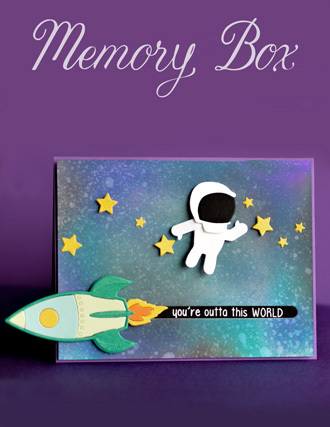 Birch Press is an online shop featuring an upscale collection of papercrafting products, gifts and items for your home. Stamp the tiny scattered hexagons onto the circle with Pearlescent Lavender Brilliance. 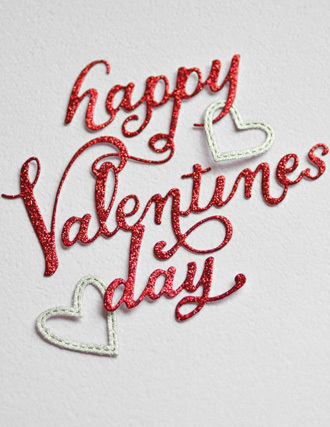 Assemble the card. 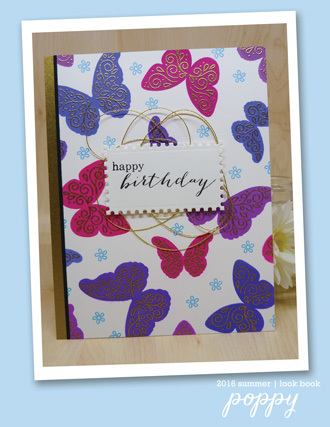 Diecut purple glittered cardstock with the Honeycomb Square to create sparkly little hexagons to match the stamped design. 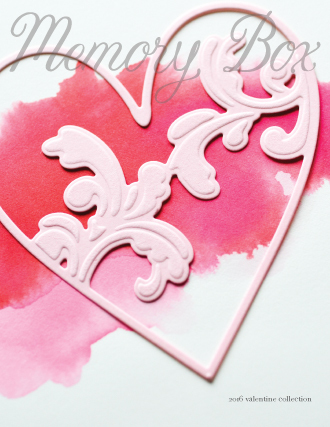 The detailed Left and Right Hutton Gates - and solid Left and Right Gate Backgrounds can be used in so many ways. Dry-emboss the Huttons too - for an elegant textured look. Use the Backgrounds horizontally as a giftcard pocket. I'll be using them often here and in classes too.